WELCOME TO CENTUS COUNSELING, CONSULTING AND EDUCATION! TELE-BEHAVIORAL HEALTH SERVICES NOW OFFERED! 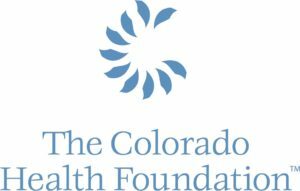 Due to a generous grant from The Colorado Health Foundation, Centus Counseling now offers secure video conferencing outpatient therapy sessions. An initial in-person appointment is the starting point to engage in this approach to treatment. Recent research confirms that with a few variables that tele-behavioral health outpatient counseling results in outcomes that are as effective as all in-person sessions. Most insurance plans cover this form of treatment. For more information please review the Centus website clinical areas of expertise to find a fit in the “Find A Clinician” section. Centus provides outpatient counseling services in a variety of ways. This includes in-person office-based outpatient counseling in 17 convenient locations in 8 counties in and around metro Denver. Many of our clinicians also provide community and in-home based services when this is the most appropriate and supportive approach to the individual or family issues being addressed. In addition, Tele-Behavioral Health/Secure Video Conference sessions are also provided when this form of treatment enhances access to treatment in support of stabilization, healing and personal growth. We also currently have two school based programs, see link to School Counseling Program website. Centus also provides consultation to organizations and faith communities. In addition, education services are provided in support of promoting hope and healing from mental illness and addiction. Centus is a top-tier provider of behavioral health services, education, and programs in metro Denver and beyond. We take pride in engaging with every client’s questions and concerns about the emotional, physical, relational and spiritual dimensions of their lives. We are champions of hopeful and healthy living. Whatever the problem, Centus is here to help. Our professional, licensed counselors can help you work through the challenging issues you or your family might be facing. Centus specialists have been offering their expertise and personal attention for 35 years. Centus is accredited by The Samaritan Institute, a leading national network of counseling centers with rigorous quality standards. Our clinicians engage with psychiatric or primary care medical professionals when consultation is needed. If you are seeking a psychiatric evaluation or medical support to supervise medication use, Centus can provide referrals for you. At Centus, you can choose from an array of professionals who are especially trained with the knowledge and compassion to assist you. Whether you are seeking therapy for an individual, a couple, or a family, we are confident we can help move you towards a more productive and balanced life. If location is a concern, know that Centus offers convenient locations throughout the metro Denver area and beyond. While many of our clients are seen in our wide range of office locations, we also offer community based services, and tele-behavioral health when appropriate to meet individual or family needs. Our therapists accept a variety of insurance policies. If your insurance company does not provide mental health coverage, or if your clinician is not participating with your insurance plan, we offer services on an adjusted fee basis to help defray the costs of our services. One of our core values is that everyone should have access to the very best behavioral health service available.